I have been really thinking hard about the new look I want for my (hopefully) new apartment. I want to make sure every single piece is thought through and goes with my “palm beach chic” decor. One thing I’ve started looking at are the perfect coffee table / bookcase books. 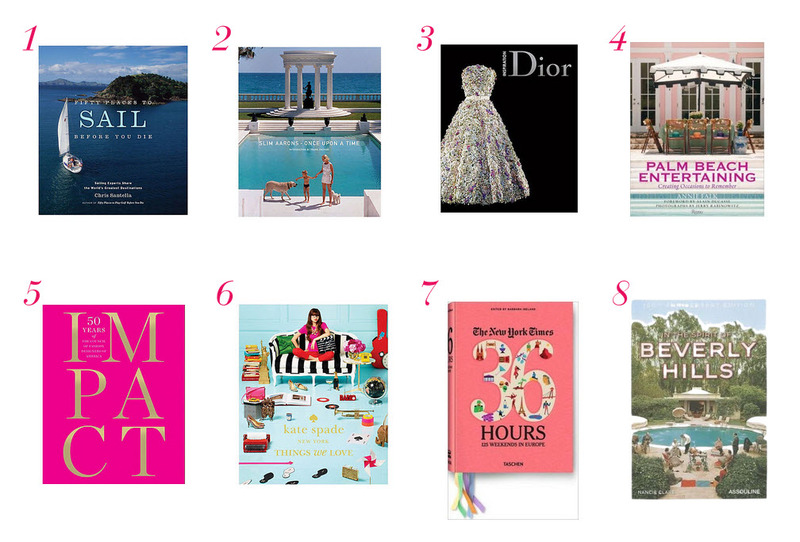 I love the idea of colorful and bright fashion books sitting underneath a vase or pretty gold piece. What I love about these books is that they not only look great but they are fun to read through too! Last chance for gifts you guys!! I threw together some of my favorites that are under $30 that can be stocking stuffers or little gifts to get someone. So many fun little sussies on here and none of them break the bank. Cheers to last minute shopping! 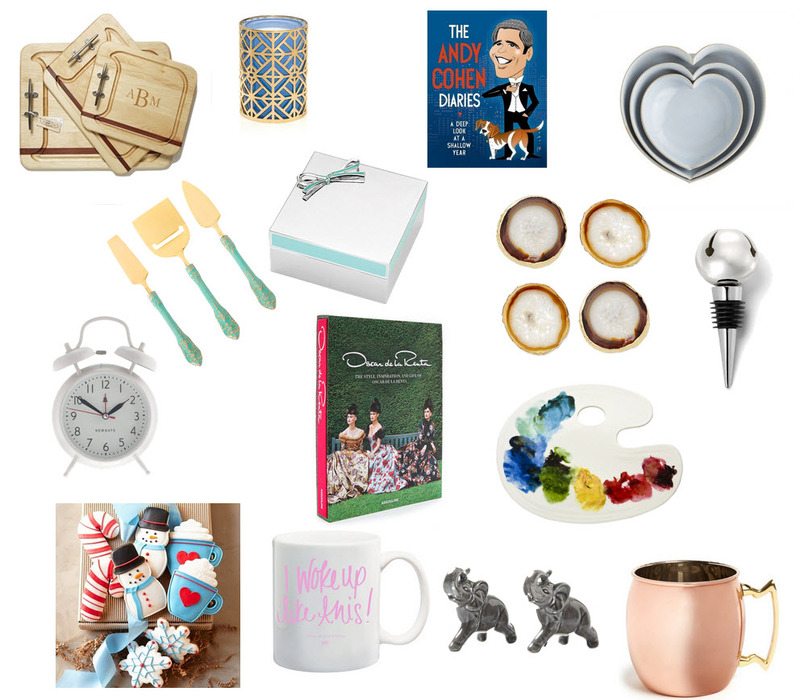 Lots of different types of gifts on this one but all (except one that snuck in there) are under $50 and won’t break the bank. These are perfect items that keep your budgets on track but will all be appreciated!! All of us are headed to someone’s holiday cocktails this year so let’s bring a great gift. I tried to get a little creative this year and cross lots of different price thresholds. 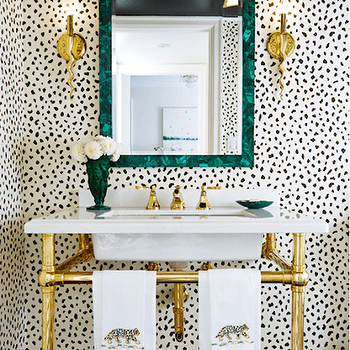 Every host/hostess is unique so try to find something that you think will fit into their home! No need to break the bank on some of these either!! 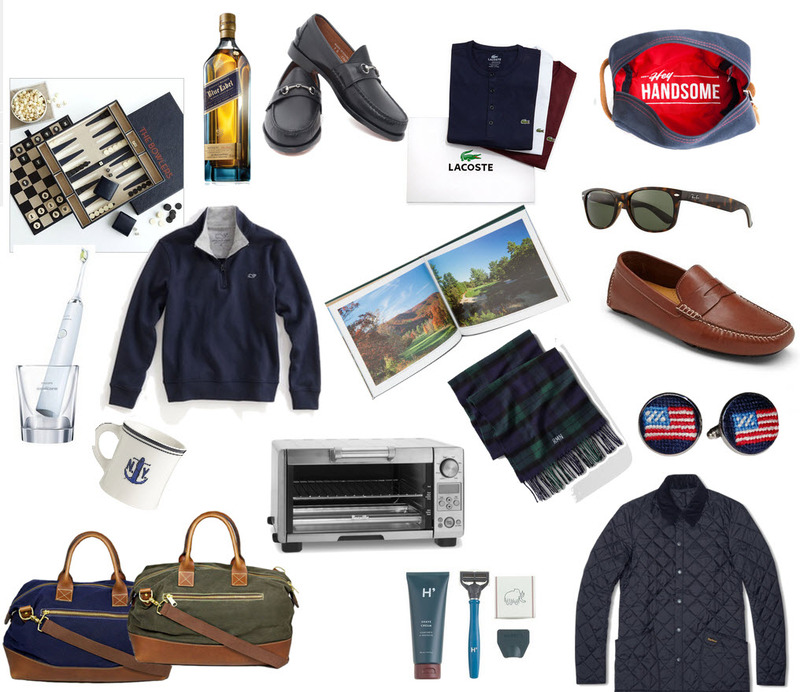 More gift guides to come – for the gents, the munchkins, under $50, under $150 and for your moms. Any other requests?? Let us know!! As you are all aware, I love a holiday card. I love stationery in general but there’s nothing that makes me happier than when I sit down with Christmas music and champs and write out my holiday cards to my loved ones. Who doesn’t love a pretty piece of snail mail??? 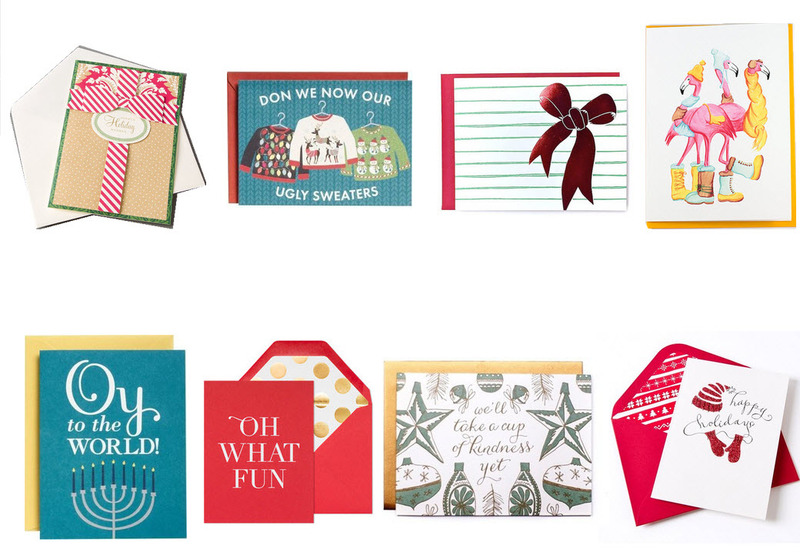 Here are some fun ones, cute for xmas, new years, hannukah, any holiday you wish you celebrate. My favorite time of year is officially here. I have had my Christmas music on repeat, put lights up on my balcony and am about to decorate the tree this week!! That also means it’s gift buying season and this is my fav part of writing a shopping blog. 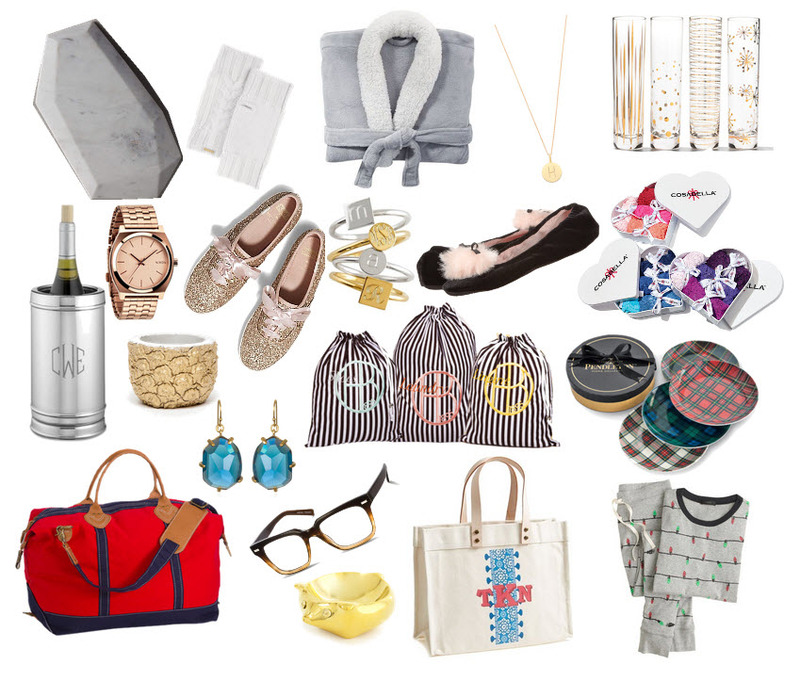 Holiday gift guides are coming your way (stay tuned because there are lots of subjects from hostesses to gents to tots and lots of different price ranges) and today marks the first one. Gifts under $100. I love a holiday candle. The smell of vanilla, Christmas trees and snowflakes (I swear this one is amazing) makes my apartment feel that much more cozy in the winter time. There are so many holiday events that you need a little hostess gift for and these are perfect (and easy). Some come in pretty enough packaging that you are set to go!! Friday (and the cold) is officially here!!! I have a busy weekend of catching up on pretty much everything I didn’t do on my to-do list but I’m getting so so excited to head to Florida in ten days. I can’t wait to get some sun! 1. A lot of great places for gifts have some great discounts going on right now. 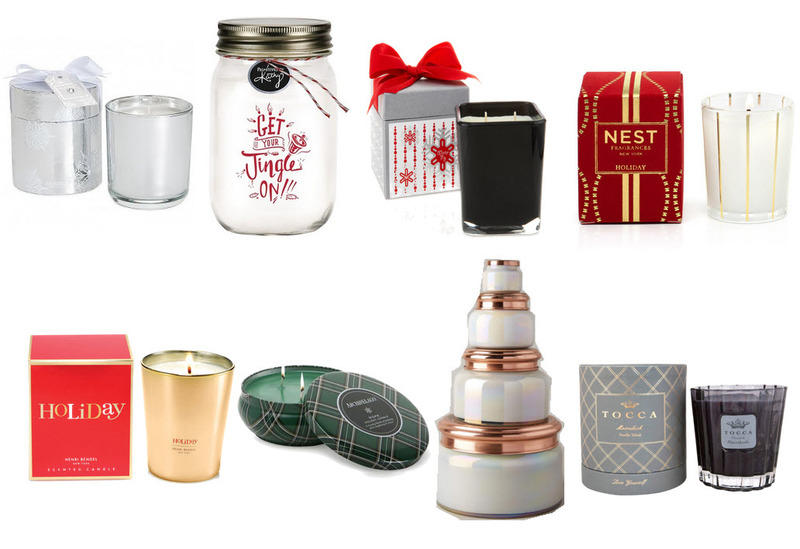 20% off of Williams Sonoma (through Mon), 25% off of Kate Spade with code BEMERRY (ends Sun), 30% off of Papyrus with code FFPYNQ4 (through Sun) and 20% off of Bloomingdales with code HOLIDAY (ends Sat). 2. So not to stray too far from the normal seven things, this SNL “ad” for when you are addicted to Taylor Swift is pretty entertaining. 3. These nautical ceramic plates and mugs are such cute little gifts for someone including the impossible present people (men). 4. Adam Levine was on Jimmy Fallon and their song impersonations cracked me up. 5. Loeffler Randall, you really just get me. First off, your resort collection came just as I’m about to go to Florida for Thanksgiving and Mexico for Christmas (yessssss). Second, you invented ADORABLE sneakers that I can actually wear when I’m a tourist and never want to be caught dead in sneakers. 6. 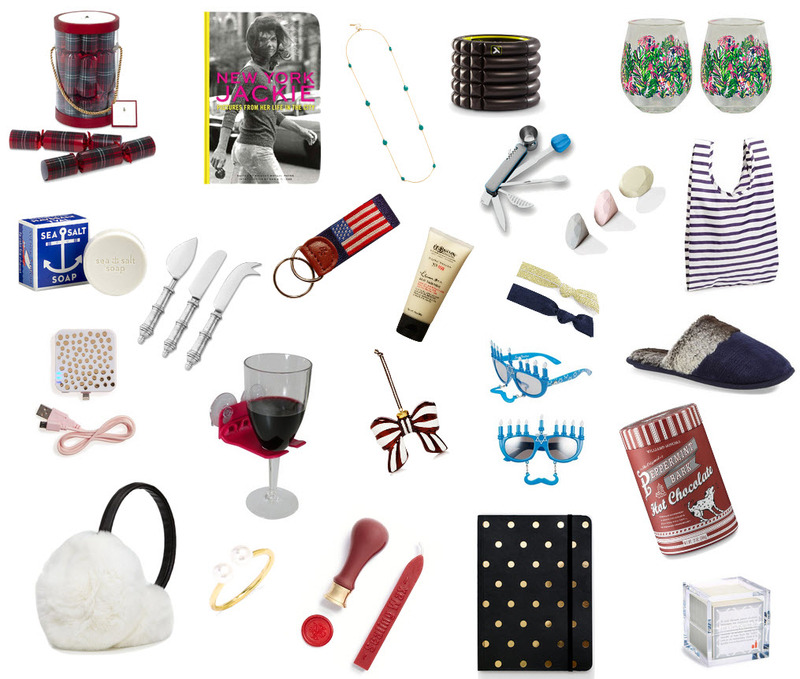 Sparkle season has begun (see more next week on this and gift guides!!!) and this Milly dress is on my list. When I sent it to Lauren she responded “NEED” so it’s like air pretty much. 7. I have an amazing “Friendsgiving” coming up next weekend and my recipes are all coming from these five.